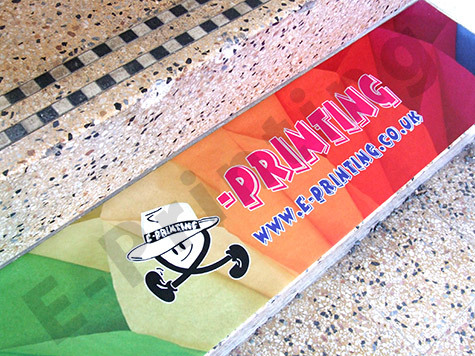 Large Format printing, banners, posters, flags, foamex borads, roller banners. GO BIG, Put your advertisement on max exposure! Billboards/POSTERS are a huge success in any marketing campaign, these do bring BIG results. So for your best market strategy yours need to be ordered today don’t’ delay any longer! These types of banners & posters are typically found in high volume traffic areas such as alongside busy roads, motorways, motorway services etc….. Effectively they stand out and mesmerize the general public – YOUR CUSTOMERS! With creative designs & witty slogans you can reach high potential returns for such minimal costs! So why don’t you put your products/company profile in BIG, get the best prices for this from E-Printing and GO BIG or EVEN BIGGER and achieve your sales targets TODAY!